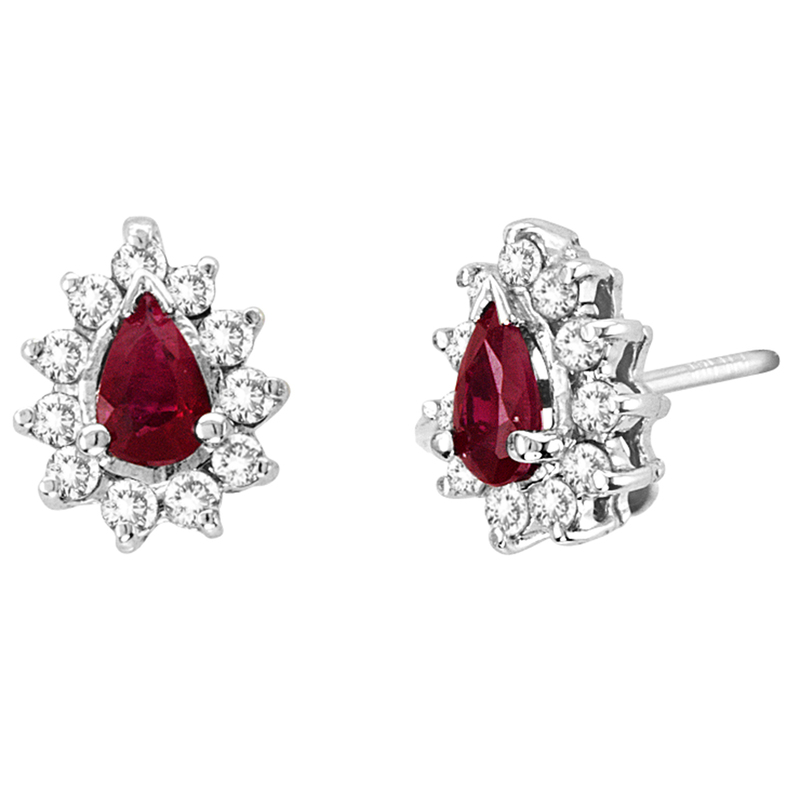 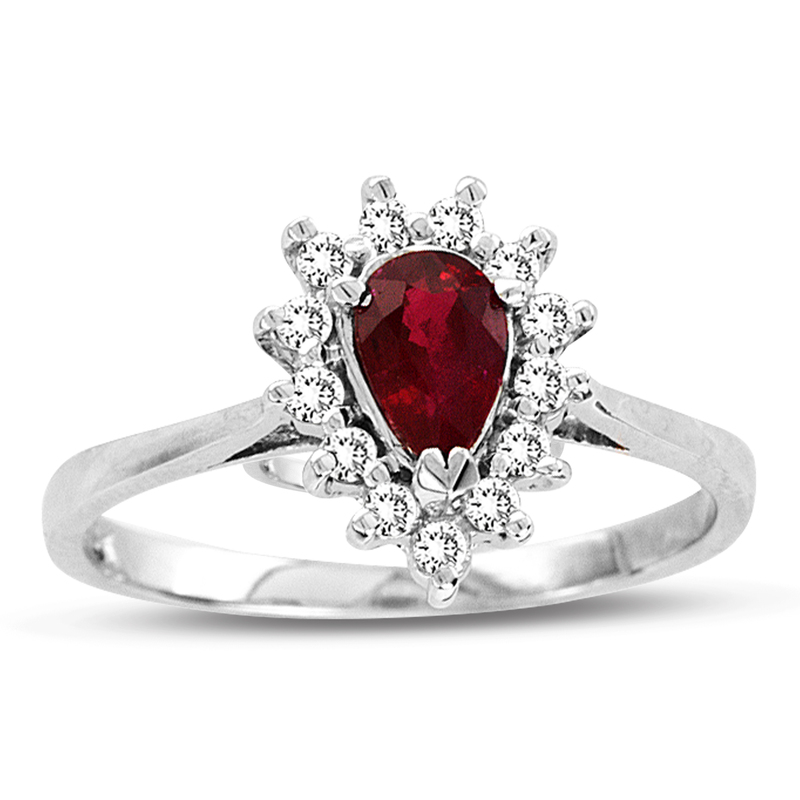 These impressive ruby and diamond earrings are available in 14K white or yellow gold. 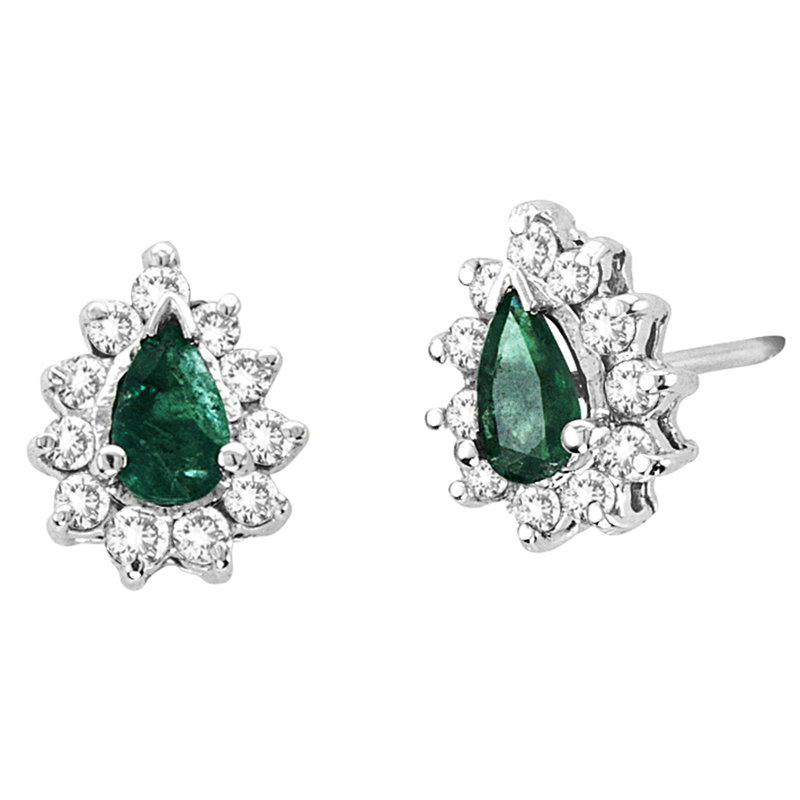 The pear shaped ruby in these earrings have a total carat weight of 0.40 carats. The diamonds have a total carat weight of 0.30 carats.